Muscle has no gender which is good because it means ladies and gentlemen can both be strong but the concern about getting bulky is unfounded. It is more the result of the same old culprits of the athletic community…drugs and fancy photography. Our credo is strength comes first – not cardio, not dieting and not how much you do but how well you do it. We work hard to explain to females that they have been short-changed and that strength is primary to being in good shape. Dispelling the myth of female bulkiness is just a part of the fight. Ladies can build muscle and thus athletic shape and a healthy metabolic rate but they will have to work hard for it just like a male. The fact remains that both will be limited by body type and time. 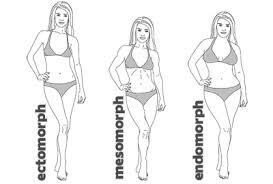 Even in a lifetime of exercise a female will only build at best 15-25 lbs of muscle depending on height. Combined with a reasonable body fat level this means ladies will look fit but not particularly muscular. Those ‘bulky’ looking gals you see are pumped up and drugged up whether they are willing to admit it or not. Also just like the ripped bodies you see in fitness photo’s this look is only temporary. Again it all comes down to accepting your fundamental body type. You cannot shrink your hip bones anymore than you can make yourself taller. More muscle for a lady just means getting some symmetry and proportion like having shoulder width to go with your hip width. The real benefit is the healthy metabolic rate to keep body fat levels in check and the ability to avoid frailty so you can remain active throughout life.